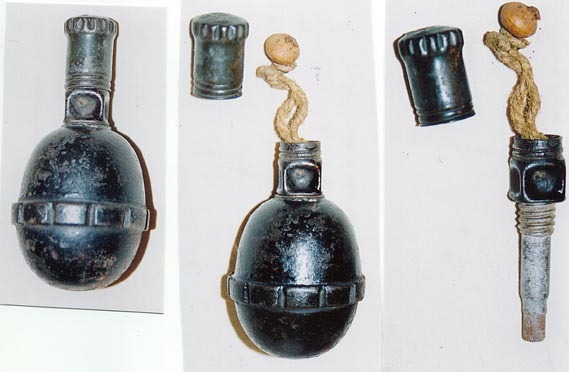 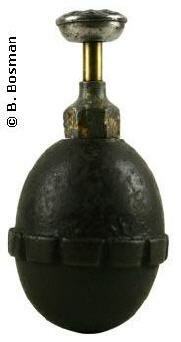 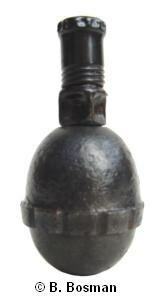 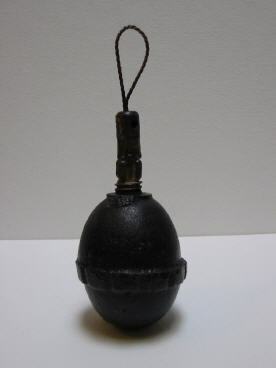 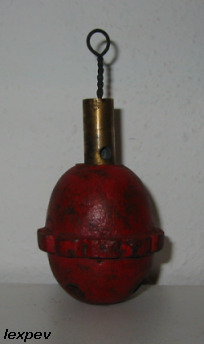 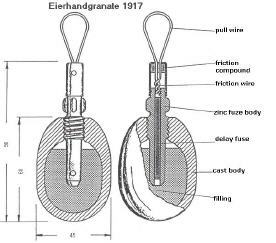 The 1917 egg grenade existed in 2 types. Both were made of cast iron. 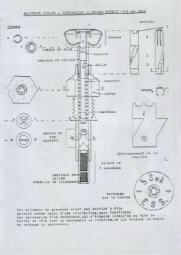 The first model was completely smooth, the second type had a fragmented ring over the side of the body. 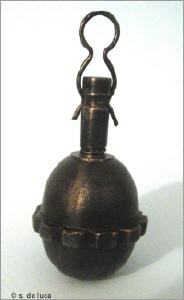 Grenades were transported with a plug in the top and had the fuzes packed seperately in the crate. 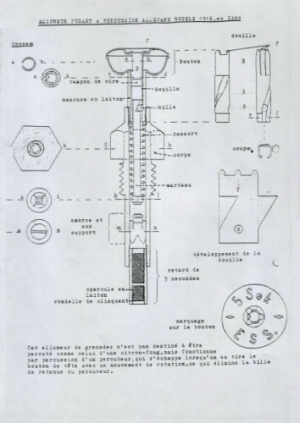 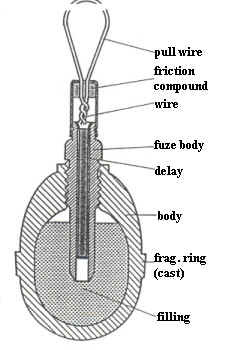 Several types of fuzes were used on these grenades, pull-friction and a pull-percussion fuze. 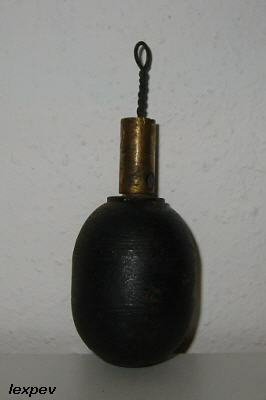 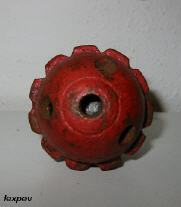 The Übung-type shown below had four emission holes drilled in the base, and an altered fuze with a small blackpowder charge. 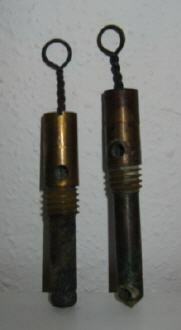 On the photo, the right fuze is for the "live" version. 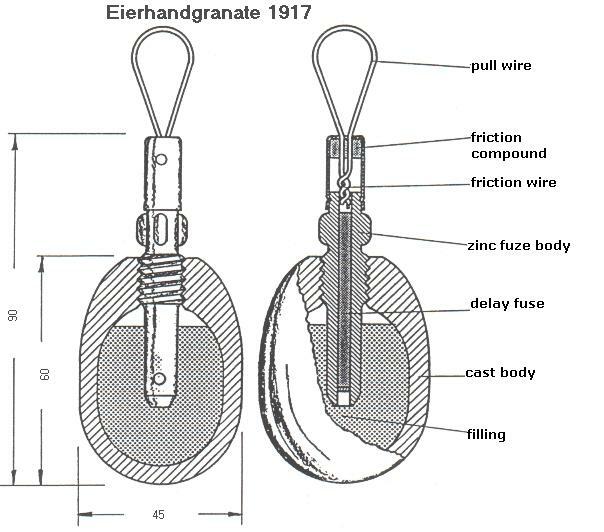 The grenade shown on the right , like the Kugel1913 Practice, uses the dummy fuze for throwing practice.